I remember the cry room in the back of the sanctuary of the country church, a place where no child ever wanted to go. Mothers, babies and toddlers went to church on Sunday morning with the family. They didn’t go to church and and then not attend the church service, but the cry room was the deportation destination for a crying toddler or infant until they stopped crying. A child who needed a spanking, however, was not taken to the cry room. Any needed Sunday morning spankings were administered in the churchyard by the father of the child. The child would then be marched straight back to the pew to sit quietly for the remainder of the service. When the sermon got too long I would count the individual lights in the chandeliers high in the ceiling. There were three chandeliers. Each had three bulb settings, with groups of nine smaller design elements. Everything in the lights and the trim was divisible by three to remind us of the Trinity. And it did. The women would have taken their places with their children in the pews prior to the ringing of the bell while the men stood in a long line outside~~some just visiting quietly, some having a cigarette before going inside. 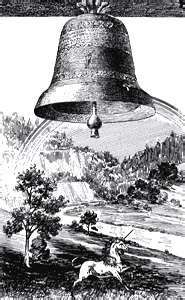 The bell was then rung in three’s: 3 X 3 X 3–27 times. 1-2-3, 1-2-3, 1-2-3, the service begins. I always counted to be sure they got it right. I would also count the pleats in my white and pale-blue organza dress that my big sister had sent to me from California. There were 27 pleats on one side and 25 on the other.